Last month, I published a story. Maybe you read it. It was called "Why You Should Stop Tipping Your Server". In it, I tried to make the case that a national boycott of the American tipping system would cause immediate chaos in the workforce, forcing our government to regulate the market at the expense of those who benefit from the current status quo (restaurants, owners, etc.). 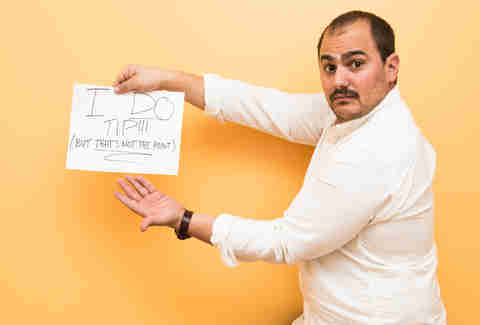 After a few weeks sifting through readers' thoughts, defending my stance IRL against my very smart, very excellent-tipping colleagues & friends, and thinking about it, it's now clear to me that while as a thought experiment it was fruitful and even fun (despite all the yelling in the comments! ), parts of my piece definitely missed the mark. So! What do we do now? We dive back in, and explore the parts where I was right, the ways in which I was wrong, and the slippery details I failed to consider in reporting and writing that story. If you were one of those commenters who encouraged me to seppuku myself, here it is: your moment of vindication. For those of you who didn't wish death upon me, but still took issue with my original piece, hopefully this addendum will bring clarity and/or compel you to dig deeper into the murky system of restaurant tipping in America. Some servers prefer the system the way it is because they make more than minimum wage. I didn't do a good job accommodating this fact, and a LOT of you pointed it out. "As a server, if a restaurant decided to pay me $7.25/hr, I couldn't survive," commented Joseph Yankoski. "I average $20 an hour and [barely] get by now." Fair. But imagine (again, hypothetically) if tips were banned. "Good" servers (goodness being indicated by how much they collected in tips in the old system, not a moral judgment) would be more valuable employees, and be able to negotiate their wages with a restaurant accordingly. This is how most other industries work: those with a record of "good" work can command better compensation. So if you were doing well before, you stand to do well after -- plus, you don't count on the customer's whim to get you there. @dinfontay i was just a little startled by the way you presented "tipping screws servers" as a point of fact. many prefer that system. Individual restaurants aren't necessarily pulling huge profits. I also made it sound like restaurants were all money-grubbing cash cows who refused to share their bountiful wealth with the serfs they employ. This was irresponsible of me, and is not the case. "F&B [food & beverage] has extremely low profit margins," wrote a waiter-friend of mine after reading my piece. Admittedly speculating, he warned that maybe "75% or more restaurants in this country would immediately go belly up if they had to pay their entire server staff a full wage." My friend (who asked not to be named) is right & wrong. Some restaurants (not 75%, but it doesn't really matter what the fraction is) would go out of business. The ones that adapted their business practices wouldn't, and the data shows that they'd actually see an increase in sales and a decrease in employee turnover -- both things that help the bottom line. 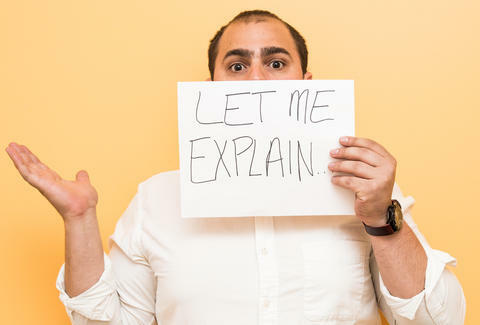 What data?! States that mandate a normal minimum wage, with no exemptions for restaurants. This data, sourced from the ROC's March 2014 study, centers on the disparity between the seven states that prohibit the $2.13 sub-minimum wage, and those that don't. (The Department of Labor has a map that illustrates which participate.) "Per capita restaurant sales increase as the tipped minimum wage increases" and "above-average employment growth occurs in" those seven. Both good things! Tip crediting (and its downsides). Cincinnati.com reports: "Among the 9,000 restaurants the U.S. Department of Labor investigated between 2010-2012, nearly 85 percent of them were in violation of wage laws, including [the tip-crediting] requirement." In New York, a state where restaurants are required to pay $5/hour (above the federally mandated $2.13, but below the statewide minimum of $8), "one out of five tipped workers makes less than the current state minimum wage of $8.00 an hour even when including tips", and "thirty percent of tipped workers in the state earn less than $8.88 an hour, which for a full-time, year-round worker translates to just $18,470 annually, not enough to keep a family of three out of poverty." So, tip-crediting has some loopholes, too, and restaurants routinely walk through them. Plus, even if everything is on the level, it still doesn't comprise a living wage in some states. What I learned You want to kill me. I got a bunch of death threats, which was unpleasant but not unexpected. The most creative one was the person who created a Snapchat account for "dinfontay2" (I'm "dinfontay") and then sent the Thrillist handle (which I run) a photo of a gun, followed by a photo of my face. Please, don't kill me, guys. This is not worth the trouble. Stop eating out. If you're going to vote with your wallet, do it by hurting the restaurant's bottom line, not the server's. Stay home and cook delicious/weird stuff like this. Only eat at restaurants that pay their servers a decent wage. Even better, find out which restaurants are bucking the system (they exist) and spend your money there. Lobby your legislators for change. While you're doing one of the above (preferably #2, but whatever), find an advocacy group like ROC and help fight the good fight at a national level. I'd write this article again. The conversation was fascinating, and if you guys learned as much as I did, then damn -- we learned a lot. But if given another shot, I'd make a better case the first time around. Thanks for calling me on it. 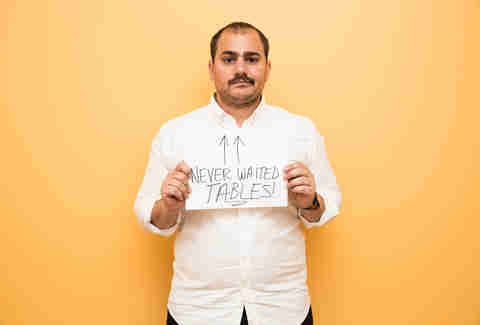 Dave Infante is a senior writer for Thrillist Food & Drink. He would appreciate it if you stopped spitting in his food, but that's really your call. Follow @dinfontay on Twitter, Instagram, and Snapchat.